Writer Description: Changing the way people think about news. This writer has written 180 articles. This article is not written by me but by a journalist of CNN. Please remember to support original work by checking out their page as well. New York (CNN) Hours after an explosion injured 29 people in a Manhattan neighborhood, police were scouring the area for evidence Sunday as they tried to pinpoint exactly what -- and who -- caused the blast. 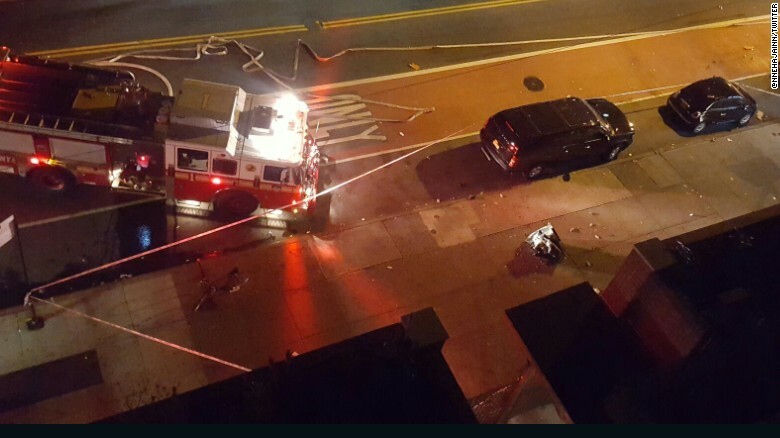 New York City Mayor Bill de Blasio called the explosion Saturday night "an intentional act." But he told reporters there was no evidence tying it to terrorism. "There's no specific and credible threat against New York City at this time from any terror organization," he said. Authorities believe the blast, which shook New York's Chelsea neighborhood and sent panicked people scrambling for cover, was caused by an explosive device in or near a dumpster, a law enforcement source told CNN. The explosion occurred at 23rd Street and 6th Avenue. 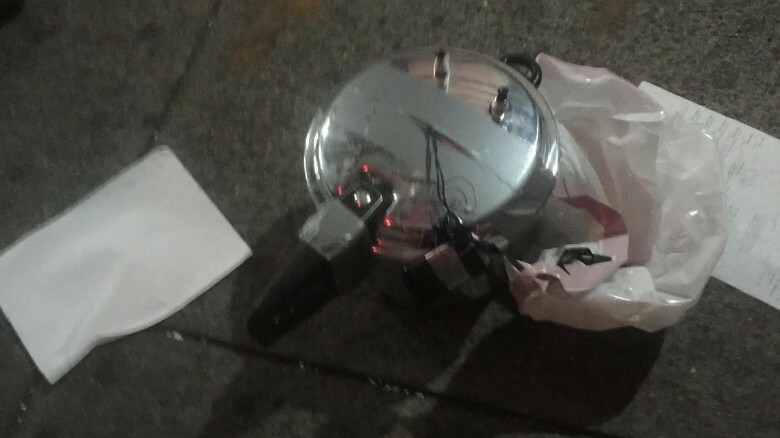 A few blocks away, investigators found one possible clue: a pressure cooker, with dark-colored wiring protruding, connected by silver duct tape to what appears to be a cellphone, officials said. Authorities haven't yet revealed whether they believe that suspicious device has any connection to the blast. Investigators are also studying surveillance video that appears to show a person near where the explosion occurred. Police officers and federal agents scoured the streets with flashlights, robots and dogs early Sunday to ensure there were no other devices in the area. Multiple local and federal law enforcement officials described the pressure cooker found at 27th Street. None of them would say what was inside the cooker, which has since been removed from the scene. A device at a second location in Chelsea appears to be a pressure cooker, according to multiple local and federal law enforcement officials. A piece of paper with writing on it was found nearby, the officials said. Search attention also focused on another object in the area, but it turned out to be trash. De Blasio said investigators believe there is no connection to an earlier incident in New Jersey,where an explosion went off in a garbage can on the route of a Marine Corps charity run Saturday. Police stepped up security across New York's five boroughs as a precaution, a law enforcement source told CNN. CNN law enforcement analyst Tom Fuentes said the details authorities have revealed so far about the explosion lead him to a troubling conclusion. "It tells me that it was a rather large explosive device that someone built and someone detonated and caused the injury of dozens of people. ... It shows me it's a deliberate act and indicates an act of terrorism," he said. "Whether it's domestic terrorism or international, we don't know, but it certainly would have an appearance that somebody made an attempt to kill people, on purpose." But CNN national security analyst Juliette Kayyem said it's too soon to label the blast a terror attack without knowing the motivations behind the explosion. Terrorism, she said, generally has political or religious motives behind it. "I think it's premature to call it terrorism until we know -- unless you want to define terrorism as any violent act in an urban area -- but given that there's no proof of motivation, you wouldn't be able to bring a terrorism case, so to speak, today," she said. 'You certainly would be able to bring other types of cases if you found the culprit." Twenty-nine people were injured in the New York explosion, one of them critically, officials say. Among the injured were David Martinez and Brenda Abero, who spoke to CNN after they were discharged from New York's Bellevue Hospital. Both said they were lucky to be alive. Martinez said the couple were driving through Chelsea when their car was lifted up by the force of the blast, damaging the left side of the vehicle. "I was driving a car and next thing you know I felt an explosion," he said. "I just blacked out, next thing I know I'm in an ambulance." Martinez, who suffered injuries to his head and leg, was feeling "pain, a little traumatized," he said. "Thought I was close to not seeing my son again, that was the scariest part." Abero, who is pregnant, said her baby was uninjured. Ambulances arriving at some local hospitals were being checked by armed guards. The explosion rocked Chelsea, a New York neighborhood that's packed with restaurants, subway stations, shops, businesses and art galleries. Surveillance video shows the impact from the explosion. Surveillance video shows windows shattered with terrified people running on the streets and ducking. 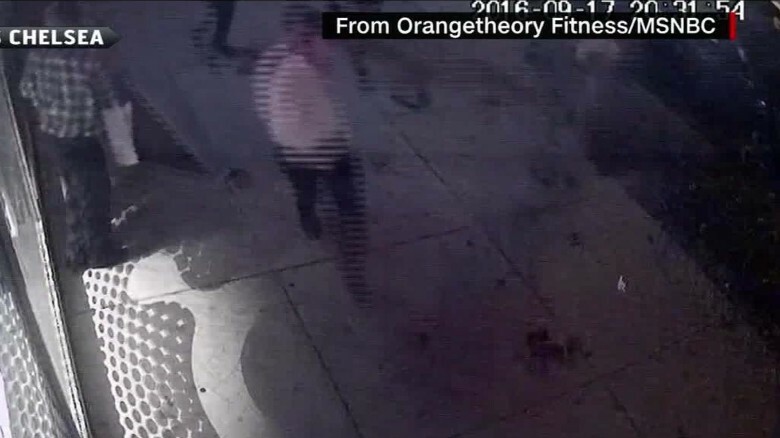 The video, which shows angles from inside and outside Orangetheory Fitness in Chelsea, shows a screen laying outside on the street after the explosion and what appears to be papers flying in the air. Danilo Gabrielli, 50, was watching TV at his 23rd Street apartment about a block away from the explosion site when he heard the blast. "It was a huge explosion," he said. "It shook the entire apartment building." Gabrielli rushed to see what had happened and found a chaotic scene. "We smelled something, like an intense sulfur smell, and saw smoke coming out of this building. I saw pieces of metal -- not large, but not small either. A few friends of mine saw glass there." Gabrielli said "the entire neighborhood is real scared." "It's a real quiet neighborhood -- not like the center of the city or the Wall Street area. It's tiny bars, where you go to grab a drink, grab a bite to eat, watch a film. We were worried." An eyewitness told CNN affiliate NY1 he was having dinner when the explosion rocked the area. "[I] felt a loud explosion and I felt like a lightning bolt struck the building. 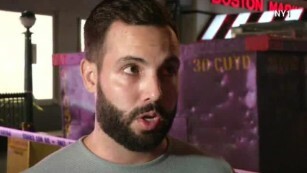 It, like, shook the ground," he told NY1. "Everybody ran out of the restaurant into the street. The whole city was in the street." Some social media users said the sound of the explosion was heard as far away as Hoboken, New Jersey, across the Hudson River. CNN's Joe Sutton, Richard Quest, Rachel Crane, Jean Casarez, Max Blau, Steve Visser, Shimon Prokupecz, Sonia Moghe and Evan Perez contributed to this story.